The explosion of regular mobile phones as well as “smart phones” has created some new opportunities to promote your business online. Yada Yada can now create mobile optimized websites with the .mobi extension (example: mysite.mobi instead of mysite.com ) If you are a super tech geek and want to learn a little more, check out the specs you need for a mobile site here. For most site owners, we recommend at least buying your best domain name with the .mobi extension both to protect your brand, because you can send mobile users to the mobile website automatically and have a link from your mobile website to either call you directly or visit the full website so that mobile users can reach you in the most easy way for them. These websites are seen and easily navigated by almost all forms of mobile phones, and are necessary if you are going to be running a google adwords mobile campaign. Its important to note that some of the smarter smartphones like the latest generation of iphones actually view whole websites the normal way and you don’t need a special site to target those, you just need to change your campaign settings. Throughout this article there are a number of links to the right pages on Google that you need to learn more about this form of marketing. In order to fit on the mostly tiny mobile screens, mobile ads are smaller than regular size. You can make them in both image and text formats. The ads themselves can appear on Googles search and content networks. Mobile ads have to link to mobile websites. But you can add a click to call button on the ad so that the people don’t even have to go to your mobile website from the ad, but just call you directly. This is obviously great if you are trying to generate sales leads. Its recommended that to do this right, create a special campaign just for all your mobile ads. You can create mobile ads within an existing campaign but believe me, it is really hard to manage that way. You can target both search and content network with your mobile campaign. Also, you can geotarget, like reaching only the mobile devices in your city, which greatly reduces the number of impressions you can get, but talk about laser targeted marketing! For some marketers, its doesn’t get any better than this. 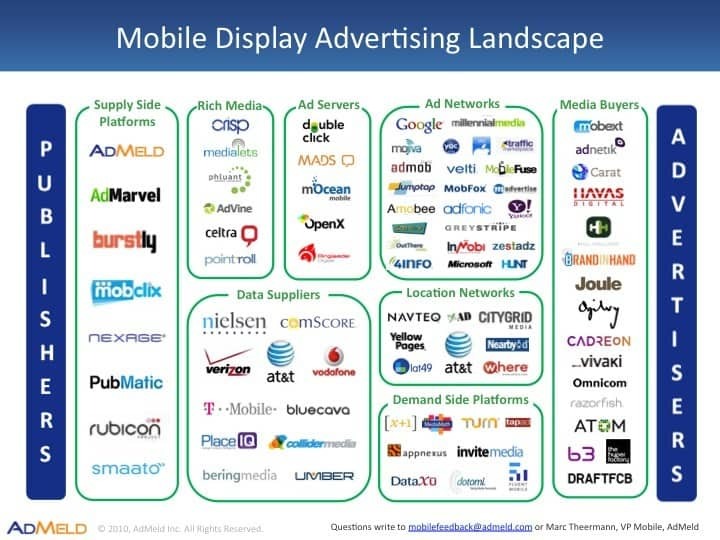 Heres a little more info about targeting specific locations with mobile ads. You can even target by mobile carrier and here is a little more about the setting up the click-to-call ads. There are also click-to-call phone numbers which you can get free to track calls for your mobile campaign. Mobile campaigns are still a little bit of the “Wild West” of internet advertising, and undoubtedly the number of impressions and clicks available will grow. And of course, if you need help getting your mobile website and campaign up and running fast…..